Bali Batuan village is artistic of painting art village. Bali Batuan Village a famous Balinese Artwork or Balinese paintings and as such a famous Bali tourism destinations, located about 7 kilometers north of Denpasar about and 10 kilometers south of Ubud. It is popular with center of Bali arts, and now it's known for its dancing, wood panel carving and Bali paintings Ubud. 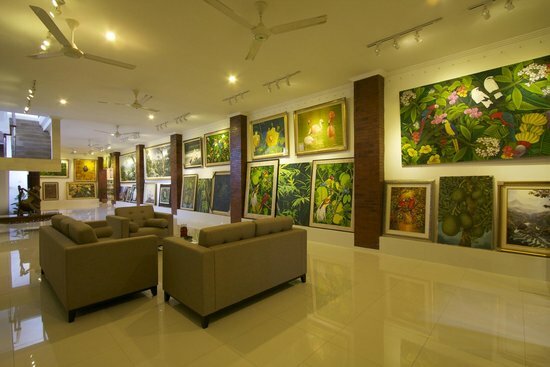 We have lots of tours to Batuan and Ubud painters - where you'll see the beautiful paintings and they have Bali paintings for sale too. Was restricted to ceremony aspect such as religious part, calendar and leather puppet (balinese: wayang). This periode was before 1920 and called as Kamasan or Wayang Style. Wayang itself is two dimentional drawing that characterized an hindu-buddhism epic such as Mahabarata and Ramayana. The paintings were used on temple or palace as ornament. They ilustrated many stories about religion and Bali life. Usually, it is a pieces of paintings that tell a stories. The name of Kamasan style itself was take from the village name where it originated. The material used in kamasan style is also traditional material from mineral and vegetables or plant resources. Also, they use white bone, soot, or stone. Bamboo used as tool to painting and the media ( canvas ) usually traditional canvas from wood, tree leaf, or cloth. In 1920, there are western artist visited bali. This has change the rule on balinese art painting. An introduce of new canvas from western material, inks and paint, has change the style into modern art painting. The year has start a new way of balinese modern art painting. 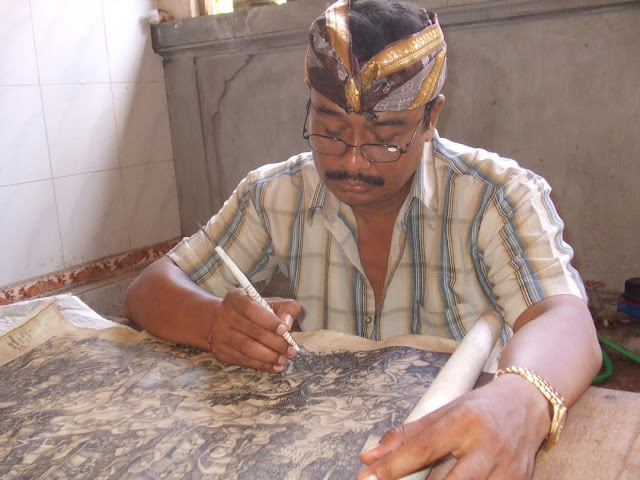 More artists come to bali has influence traditional style that was restricted to ceremony aspect. Batuan village wasn't influenced by the western as they were in Ubud. The Batuan paintings were often dark, crowded representations of either legendary scenes or themes from daily life, freakish animal monsters, and witches accosted people. The Batuan Village paintings were gradations of black to white ink washes laid over most of the surface, so as to create an atmosphere of darkness and gloom. In the later years, the designs covered the entire space, which often contributed to the crowded nature of these Balinese paintings. Ida Bagus Made Togog, I Dewa Nyoman Mura (1877-1950). And I Dewa Putu Kebes (1874-1962). Which were traditional Wayang-style Balinese painters for temples' ceremonial textiles. For over a thousand years, Batuan has been a village of Balinese Artwork and Bali handicrafts. Batuan village has a thousand year old history in accordance with the recorded history - begins in A.D. 1022, with an inscription that is housed in the main village temple, Pura Desa Batuan/Batuan Village Temple. In the Age of Warmadewa Dynasty in Bali, Desa Batuan / Batuan Village had to be there. Batuan village eventually came to be called Batuan, from the word of Batu / Rock, because - in that time - in this region is a rocky area (the famous Balinese sand stones are still produced here in northern of Batuan), then because of daily changes in the pronunciation then more popularly known as Batuan Village. Source: Bali Golden Tour, Dewan Nyoman Purwa, Trip Advisor.